Transparent OXYGEN MASK meant to administer oxygen to patients. 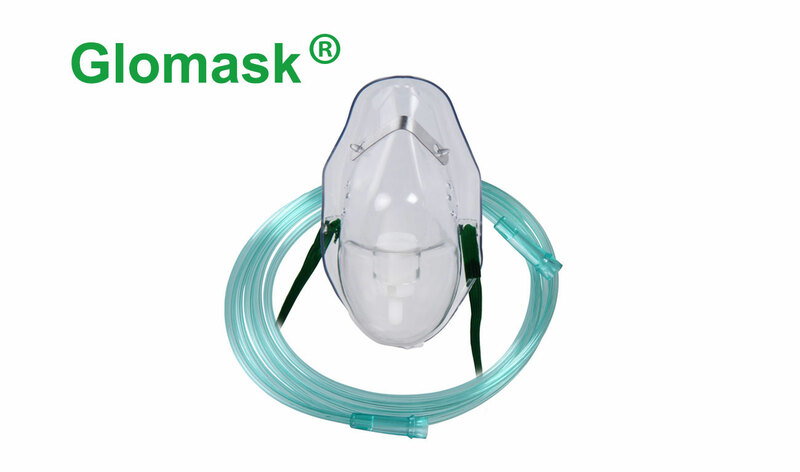 Made from special non-toxic medical grade PVC. Two holes to allow carbon dioxide exhaled by the patient to escape. Nasal clip for secure fixation over the patient’s nose. Elastic band for placement around the head. Transparent tubing to connect the mask to the oxygen source.